Monuments to peace and freedom are found across South Africa – not surprising, given its long history of struggle against oppression. As we look back on 2016 – the 22nd year of South Africa’s freedom – we showcase 22 monuments that pay homage to the heroes who made this country great. Robben Island has a varied history. From the 1400s to 1900s, travellers, sailors and settlers used it as a base to replenish food and supplies; it was also used as a post office, a quarantine station, a hospital, and prison. But the island is best known as the site where Nelson Mandela was imprisoned for 18 years. He was in prison for a total of 27 years, but was transferred from The Island, as the prison was known, to Pollsmoor and then Victor Verster prisons in Cape Town and Stellenbosch, respectively. 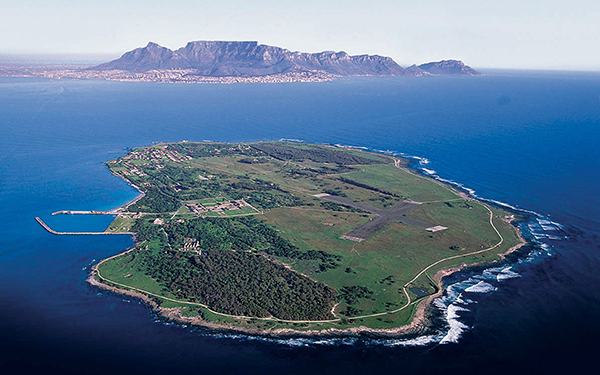 Robben Island was declared a National Monument in 1996 and a National Museum in 1997. In August 2014, anti-apartheid activist Robert Sobukwe’s gravesite in Graaff-Reinet was declared a national heritage site. After years of being vandalised, it was cleaned up and turned into a monument to pay respect to one of South Africa’s greatest struggle icons. Born in Little Karoo in 1924, Sobukwe was, according to South African History Online, a “strong Africanist, believing that the future of South Africa should be in the hands of black South Africans”. During his time as a member of the ANC, his Africanist views contradicted that of the party. As a result, he left the ANC to form the Pan Africanist Congress (PAC) in 1959, becoming its first president. On 21 March 1960, Sobukwe and a group of PAC supporters marched to Orlando Police Station – as part of an anti-pass campaign. Sobukwe was charged for being present in a region that he was not allowed to be in according to the Pass Law, and gave himself in for arrest. He was sentenced to three years in prison for incitement. At the end of his term in 1963, parliament passed the General Law Amendment Act which included the “Sobukwe Clause”. This enabled the Minister of Justice to prolong the detention of any political prisoner indefinitely. Sobukwe was the only person imprisoned under this clause. He was moved to Robben Island where he spent six more years before being exiled to Galeshewe in Kimberley. Sobukwe died of lung cancer in February 1978. 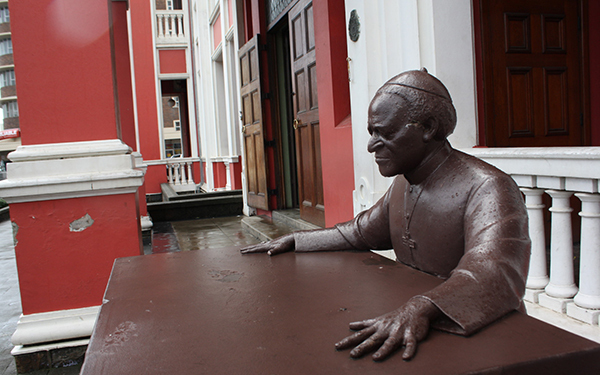 Unlike most of the monuments on the list, the Archbishop Desmond Tutu statue outside East London City Hall does not pay tribute to the man as a struggle hero, but rather as a healer. Tutu was one of many figures who established the Truth and Reconciliation Commission (TRC), of which he was the chairman. The commission was a court-like restorative justice body intent on helping people overcome the pain experienced during apartheid. Though there were threats to bomb the proceedings at the city hall, nothing occurred. The TRC has largely been hailed as a success in bringing out the truth, although some critics believe it did not help reconcile the groups at the time and that its effectiveness is still debatable today. Heroes Park in East London not only honours South Africa’s struggle heroes, it is also a celebration of our freedom and the country’s cultural diversity. Situated across from the East London Aquarium, hundreds of struggle icons – from poet and activist Dennis Brutus to Nelson Mandela – are acknowledged, with their names etched into the granite Wall of Fame. 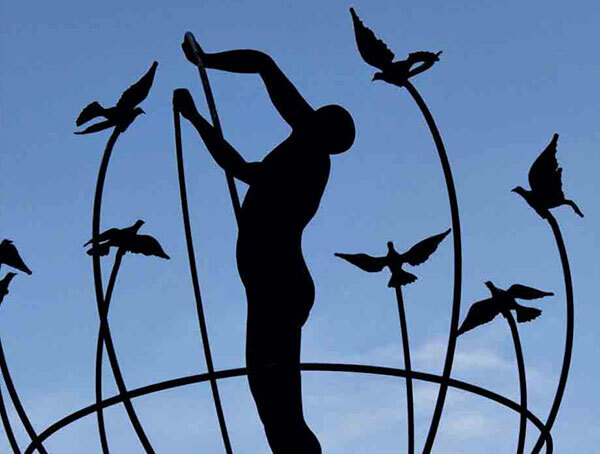 Forming a large part of the memorial is the Multicultural Man statue, sculpted by Italian artist Francesco Perilli. Daily Dispatch described it as a monument that celebrated the history of the struggle and the country’s diversity. The three metre-high statue is of a faceless man standing in the middle of Earth. With his hands, aided by doves, he builds the world in which we live. This symbol of peace, cultural diversity and humanity is one of four – the others are in Toronto, Canada; Sarajevo, Bosnia; Sydney Australia; and Changchun, China. Despite Heroes Park being a symbol of the country’s recent struggle for freedom, it also incorporates the German Settlers Monument, which pays homage to the German families who arrived in East London between 1856 and the 1870s. In January 2015, mosaic murals were installed depicting the lives of the early immigrants in the Eastern Cape. Memorial to the Six Million in Johannesburg’s Westpark Cemetery pays tribute to the Jewish men, women and children who lost their lives during the Second World War. 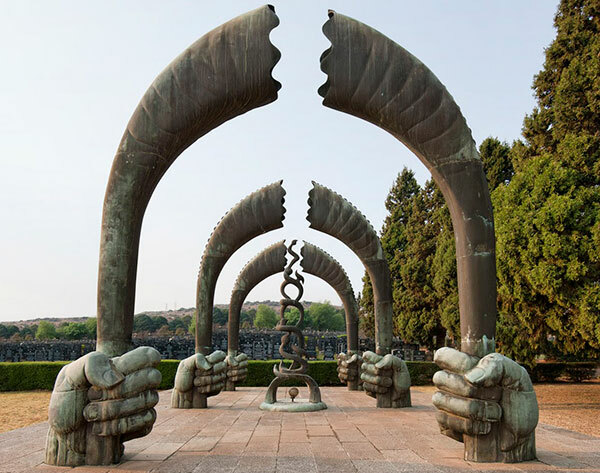 The monument depicts six bronze fists, each five feet high, bursting out of the ground as a protest from the dead. Each fist represents one million Jews who perished under Hitler. The twenty foot ram horns they hold depicts the Jewish ritual trumpet that blast out the sixth commandment “Though shalt not kill”. In pairs, the fists form the three arches of trials and tribulations that Jewish people have experienced over generations of persecution. Built in 1959, the monument was the brainchild of Herman Wald. Wald was born in Hungary and studied in Budapest, Vienna, Berlin and London. He moved to South Africa in 1937 where he lived and worked until his death. He was responsible for many large public works in South Africa of which two are significant: The Stampede in central Johannesburg and Diggers Fountain in Kimberley. “It was the opposite of grand, but it was my first true home of my own and I was mightily proud. A man is not a man until he has a house of his own,” wrote Nelson Mandela in his autobiography, The Long Walk to Freedom of his first home on Vilakazi Street in Soweto. The house consists of four interconnected rooms and is filled with memorabilia and photographs of the family. Mandela moved into this house in 1946 with his first wife, Evelyn. After their divorce in 1957, he married Winnie Madikizela, who moved into the home with him. When he was released from prison in 1990, he returned to this home. But he only stayed in the house for 11 days. 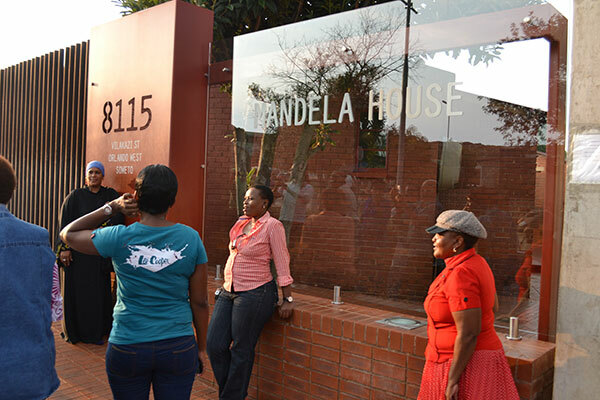 He donated it to the Soweto Heritage Trust in 1997 so it could be used as a museum. 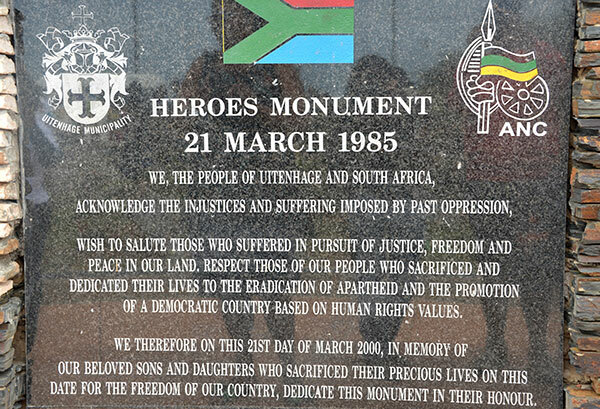 Drive south-west along the R63 in Bhisho, Eastern Cape, and you will come across the Bhisho Massacre Memorial, a facebrick and granite structure that pays homage to the 28 marchers who were killed on 7 September 1992. On that day, about 80 000 people gathered outside Bhisho – the capital of Ciskei at the time – demanding an end to Oupa Gqozo’s military rule and the re-absorption of the so-called independent black homeland into South Africa. The marchers were led by top ANC and SACP officials, including Chris Hani, Cyril Ramaphosa, Steve Tshwete and Ronnie Kasrils. When they tried to pass the Ciskei Defence Force to enter Bhisho, Gqozo’s soldiers were instructed to open fire. Today, each of the victims’ names is engraved on the granite wall. 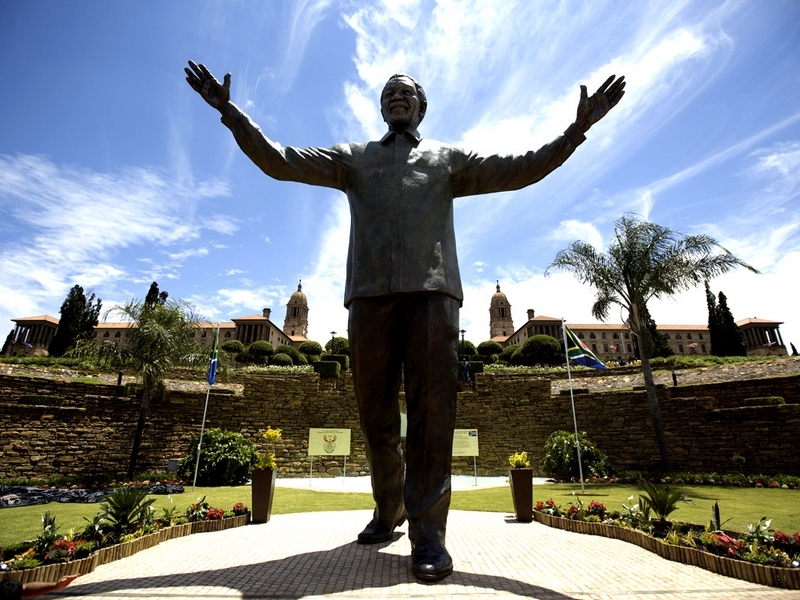 At the unveiling of the monument in 1997, Archbishop Desmond Tutu said South Africa paid a high price for its freedom and that the massacre nearly shattered the dreams for a new South Africa. Most South Africans are familiar with the Sharpeville Massacre that took place on 21 March 1960, a date that is now remembered as Human Rights Day. But another, little known, massacre took place on that very same date in Langa, Uitenhage, 25 years later. On 21 March, 1985, police fired at a group of marchers who were observing the 25th anniversary of the Sharpeville Massacre, killing 20 of them. According to historian Alistair Boddy-Evans, the incident occurred when marchers gathered in Langa and were preparing to move on to KwaNobuhle, 10 kilometres away, where the commemorative service for the 1960 massacre was to be held. But marchers did not know the government had banned the event. It was reason enough for the police to open fire. 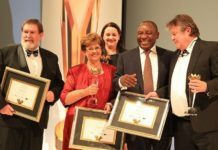 There was an international outcry following the incident and the Kannemeyer Commission was immediately appointed to investigate the cause of the shooting. Judge Donald Kannemeyer absolved the police from culpability for the deaths but found the banning of funerals on doubtful grounds and improper riot control equipment as the main factors for the massacre. 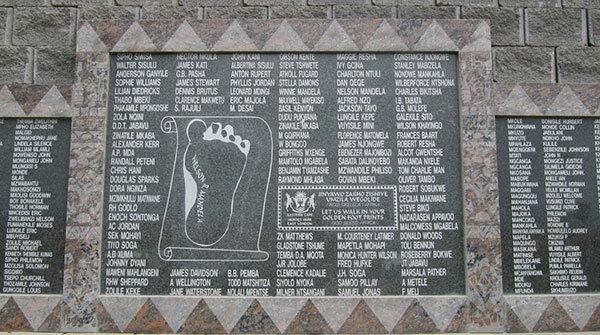 In memory of the 20 people who died on 21 March 1985 in Uitenhage in the Eastern Cape, the Langa Memorial, also known as Heroes Monument, was unveiled in the KwaNobuhle Cemetery a year after the incident took place. The tombstone in the graveyard was vandalised in June 1987 and re-erected in March 1994. The discovery of diamonds in Kimberley in 1871 brought thousands of miners and fortune hunters to the small Northern Cape town, to try their luck at striking it rich. 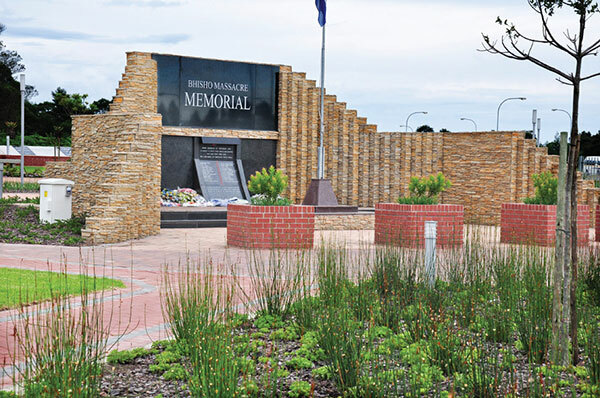 To mark the history of the town – it still occupies an important position in the world diamond industry – the Miners Memorial, or Diggers Fountain, was installed in the Ernest Oppenheimer Memorial Gardens. 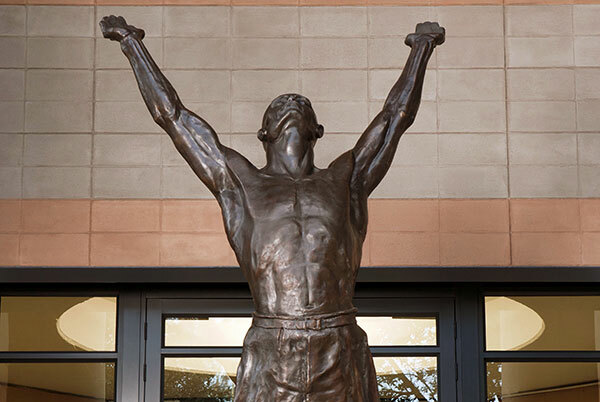 The bronze sculpture portrays five men holding up a diamond sieve. It was designed by Herman Wald in 1960, and stands as a tribute to all the diggers who congregated on the town. On 26 June 1955, over 3 000 representatives of resistance organisations made their way through police cordons to gather on a dusty square in Kliptown, then a freehold area 40 kilometres south of Johannesburg. That dusty field has now been declared a national heritage site. 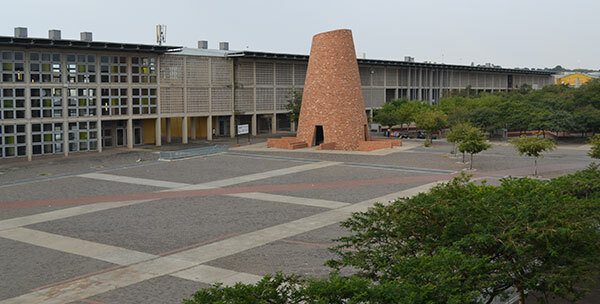 On 26 June 2005 the then President of South Africa, Thabo Mbeki, lit a flame of freedom in Kliptown to mark the opening of the Walter Sisulu Square of Dedication – and 50 years of the Freedom Charter. Walter Sisulu was a delegate at the 1955 Congress of the People, a major figure in the anti-apartheid struggle, deputy president of the ANC, underground activist and Rivonia treason trialist. Released from prison in 1989, he died in 2003, the year the R160-million Walter Sisulu Square of Dedication project was initiated. Look on the side of the Steve Biko statue outside the East London City Hall and you will find familiar names: musician Peter Gabriel, and actors Denzel Washington and Kevin Kline. These were just three of the many donors who made the statue possible. Washington and Kline depicted Biko and Donald Woods respectively in the 1987 film about the late Black Consciousness Movement leader, Cry Freedom. Thousands gathered on Oxford Street as Nelson Mandela unveiled the bronze statue of Biko on 12 September 1997 outside the East London City Hall. Attendees included Gabriel, who performed his song, Biko, at the unveiling; Virgin Group founder, Richard Branson; and Woods, the former editor of the Daily Dispatch and Biko’s friend. Azapo members delayed the unveiling, to show their discontent that a white artist sculpted the statue. The monument was defaced twice in the first three weeks after the unveiling. But today, it has been accepted as an important part of the city’s landscape. 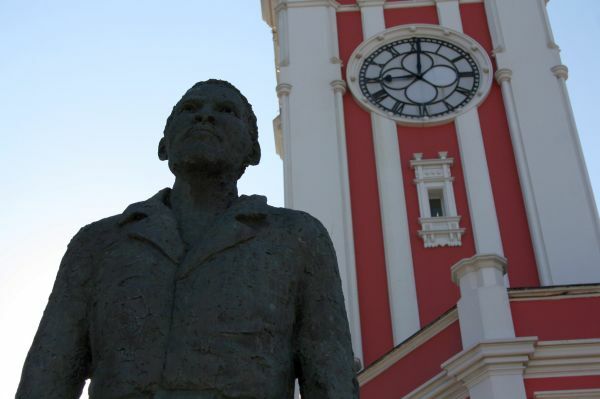 The statue is one of six landmarks along the Steve Biko Heritage Trail; the others are Biko Bridge in East London, his home in Ginsberg, the Steve Biko Garden of Remembrance just outside King William’s Town, his old Black Community Programmes office at 15 Leopold Street in King William’s Town, and Zanempilo Clinic in Zinyoka. On 16 June 1976, at the age of 12, Hector Pieterson was shot by police during the student uprising in Soweto. Although not the first to be shot – that was probably 15-year-old Hastings Ndlovu – he was the first to die. The picture taken by news photographer Sam Nzima of his body being carried by Mbuyisa Makhubo, his sister, Antoinette, running at their side, became a global symbol of apartheid oppression. That morning, Soweto’s schoolchildren were marching against being taught in Afrikaans at schools. When they reached Maseko Street, police opened fire. 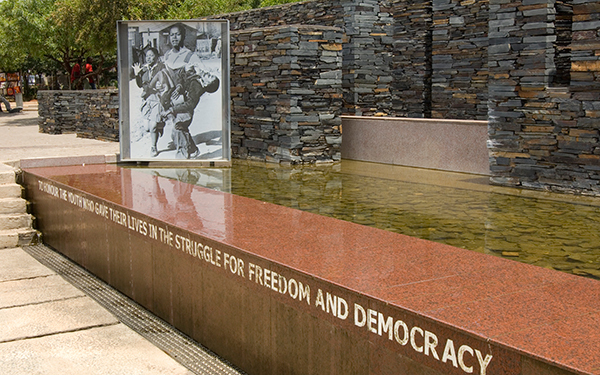 Today, the Hector Pieterson Memorial and Museum is a testament to their struggle to end apartheid. Nzima’s photo is central to the monument. 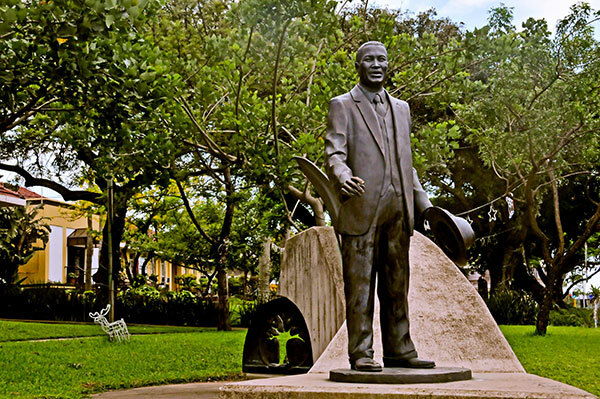 The Nkosi Albert Luthuli memorial comprises a bronze figure of Albert Luthuli, a wall featuring two bronze elements and, underneath the historic Indaba Tree, a bench, all set in a landscaped environment. This can be found at the KwaDukuza Municipal Chambers in KwaZulu-Natal and was unveiled in 2004. Luthuli’s home in KwaDukuza, formerly known as Stanger, was a meeting place for people linked to South Africa’s freedom struggle during the years of Luthuli’s banishment. It was also proclaimed a museum in August 2004. President-General of the African National Congress from December 1952 until his death in 1967, and recipient of the Nobel Peace Prize in 1960, Chief Albert John Luthuli was the most widely known and respected African leader of his era. The Order of Luthuli is South Africa’s highest award for contributions to democracy, human rights, justice and peace. 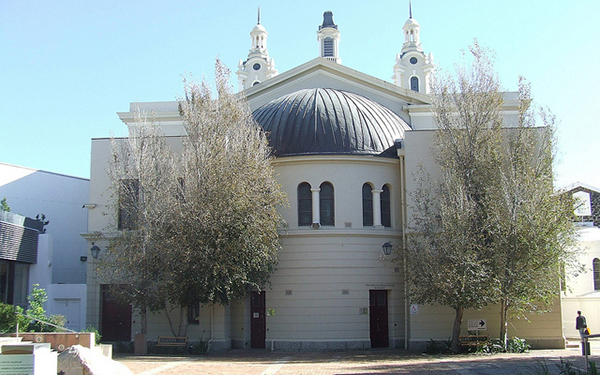 The Cape Town Holocaust Centre was the first to be created in Africa; it opened its doors in 1999. It serves as a memorial to the six million Jews who were killed in the Holocaust during World War 2, as well as for the other victims of the Nazis, such as homosexuals and gypsies. The aim of the centre is to “teach about the consequences of prejudice, racism, anti-Semitism, xenophobia, homophobia, and the dangers of indifference, apathy and silence”. There is also a Holocaust Centre in Durban, and one is planned for Johannesburg. 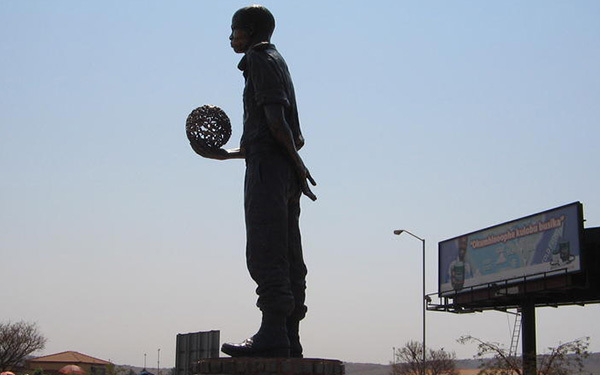 The Solomon Mahlangu statue was unveiled in his birthplace of Mamelodi in 2005, 26 years after he was executed for being an activist against apartheid. The 23-year-old Umkhonto we Sizwe (MK) member was wrongfully accused of murder and terrorism, and was hanged at Pretoria Prison’s gallows on 6 April 1979. According to South African History Online, Mahlangu joined the African National Congress in September 1976. He trained as an MK soldier in Angola and Mozambique before returning to South Africa in 1977 to assist with student protests. On 13 June of that year, Mahlangu and his companions, Mondy Johannes Motloung and George Mahlangu, were arrested for the deaths of two civilian men. 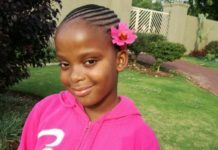 Mahlangu pleaded not guilty when he was tried but was later charged with murder and terrorism, and executed.Mahlangu was buried in Atteridgeville, Tshwane. 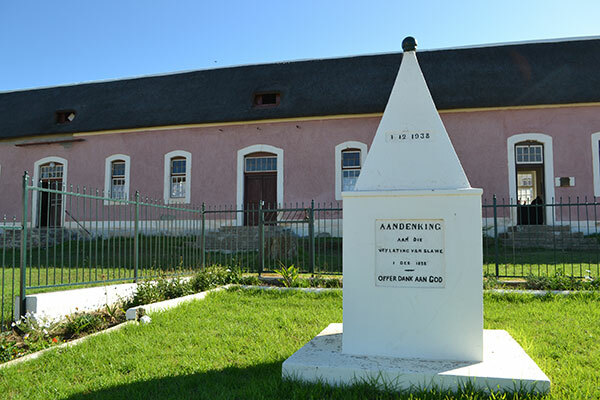 In memory of emancipated slaves who found refuge at Elim in the Overberg, Western Cape, is the slavery emancipation monument. Elim, with its whitewashed thatched cottages, Moravian Church and the oldest working clock in South Africa, is a national treasure. The mission station at Elim was established in 1824, when German missionaries arrived at the Cape. Biblically, Elim is the place the Israelites rested after crossing the Red Sea. The monument was first built in 1938 and was “re-unveiled” in 2004 after falling into disrepair in the 1990s. It was rebuilt in time to mark the United Nations declaration that 2004 was the year to celebrate the victory of humanity’s struggle against slavery. 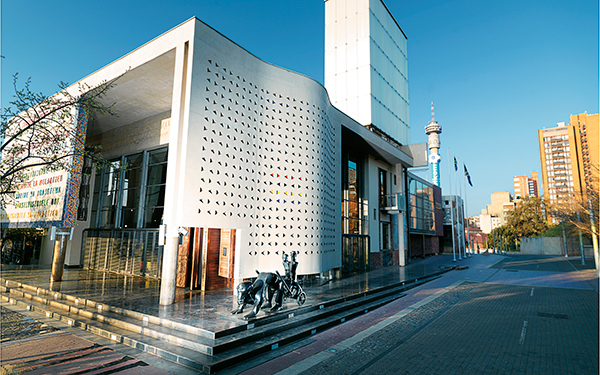 Constitution Hill in Braamfontein, Johannesburg houses the highest court in the land – the Constitutional Court. But the history of the precinct is marred by pain and suffering. Before being transformed into the court, the hill housed The Fort. It was a notorious prison, with sections for “natives”, women, and awaiting trial prisoners. It housed common criminals together with ordinary citizens who were only guilty of breaking unfair apartheid laws. 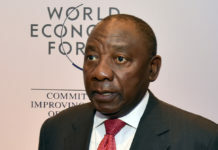 “The prison complex of the Fort has impacted deeply on hundreds of thousands of ordinary South Africans’ lives as it was essentially a transitory prison where prisoners were held until they were sentenced before being transferred to serve their prison terms elsewhere,” reads the Constitutional Hill website. It was chosen as the home of the Constitutional Court in the mid-1990s. Other sections of the old prison have also been transformed into memorial centres and museums, including the Women’s Gaol, Number Four, and the Old Fort. 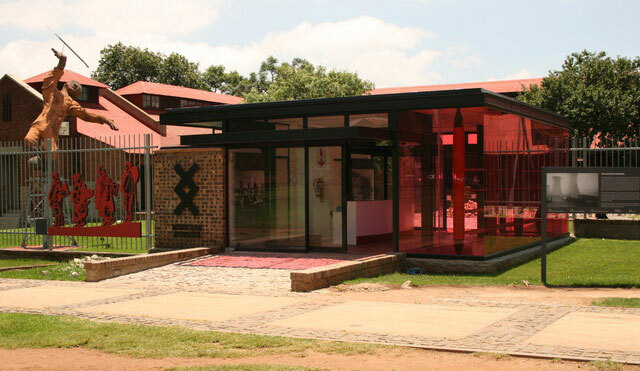 The Workers’ Library and Museum is housed in a restored municipal workers’ compound in Newtown. Built in 1913, it is the only intact example of an early municipal compound in Johannesburg.The workmen’s quarters housed about 396 men who worked on the city’s electricity generating plant right on their doorstep. Used until the 1970’s, the compound was renovated with one wing being developed as a museum and the other to house meeting rooms, offices and a library. The buildings were recognised as a National Monument in 1995, and an important part of working class heritage. The events of the night of 7 June 1893 changed the course of Mahatma Gandhi’s life, and would lead to his becoming the Mahatma. Plying his profession as a lawyer, the young Indian had come to South Africa for work. On the night, he was travelling from Durban to Johannesburg and had a first class ticket for the train. But he was told to leave the European compartment to go to the third class section, where non-white passengers sat. When he refused to do so, he was thrown off the train at the Pietermaritzburg Railway Station. Gandhi’s movement for peaceful resistance to oppression and racial discrimination began that night. It would go on to have a significant and sustained impact around the world. 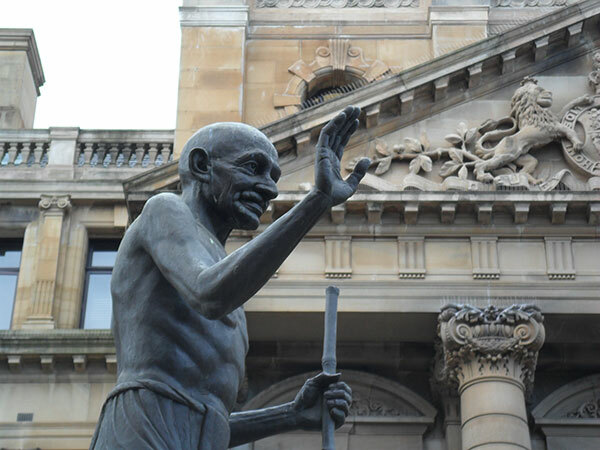 To honour his activism, in June 1993 – a century later – Archbishop Desmond Tutu unveiled a bronze statue depicting Gandhi in Church Street, Pietermaritzburg. 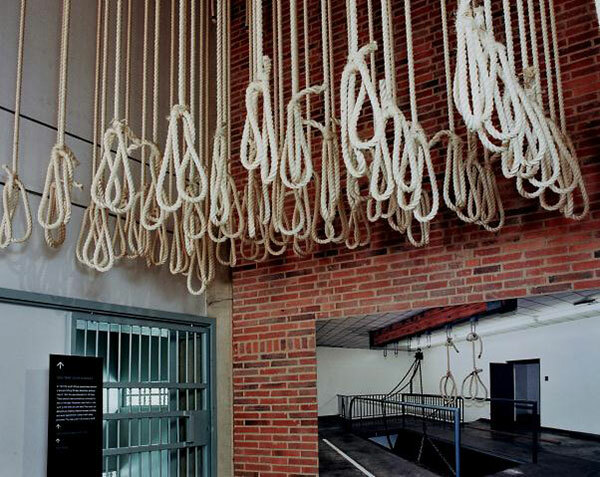 The gallows of the Pretoria Central Prison opened in December 2011 in memory of the political prisoners who were executed during 1967 and 1989. At this centre’s opening, families of the deceased said their healing has started. According to Wikipedia, the prison’s official name is Kgosi Mampuru II Prison. More than 100 political prisoners were executed here during apartheid. Executions took place on Saturdays and were viewed by the public. Capital punishment ended in South Africa on 6 June 1995 by the ruling of the Constitutional Court, following a five year moratorium since February 1990. 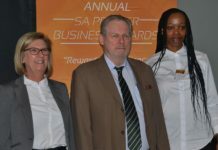 The Department of Correctional Services says prisoner, Alexander Anderson, built the first prison in Pretoria at the corner of Pretorius and Paul Kruger streets. He was serving a 12 month sentence when he struck a bargain: if he built the prison he would be acquitted. The second prison was built in 1873 in Bosman and Visagie streets. The third [and last] construction of the prison finished in 1907 at 1 Kgosi Mampuru Street. The Chamber of Mines building for the Engineering and the Built Environment Faculty at the University of Witwatersrand’s (Wits) is not just the home for students and staff of these departments. It is also the home of Herman Wald’s The Unknown Miner for more than three years. According to the website hermanwald.com, the monument was erected to recognise the hard work of the unacknowledged miners of Johannesburg that established the ‘City of Gold’ in 1886. In the late 1950s, Harry Oppenheimer commissioned Wald [1906 – 1970], a sculptor, to create two works to celebrate the life and achievement of his father, Sir Ernest Oppenheimer.One was The Diamond Diggers situated in Kimberley, and the other is The Stampede, otherwise known as The Impala Fountain, in Johannesburg. 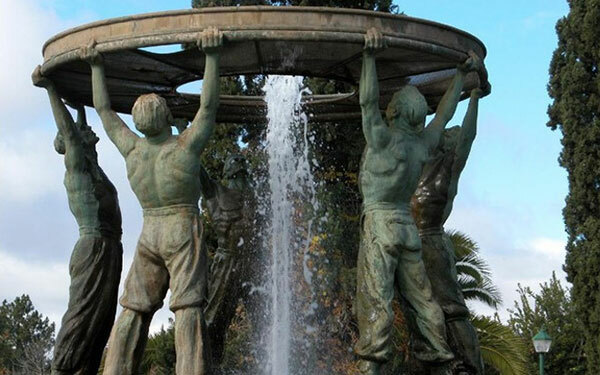 The prototype consisted of five figures holding up a sieve that forms the Diamond Diggers Fountain installed in Kimberley in 1959. Wald’s sons then began production of The Unknown Miner in 2011 and erected it at Wits University in November of that year. 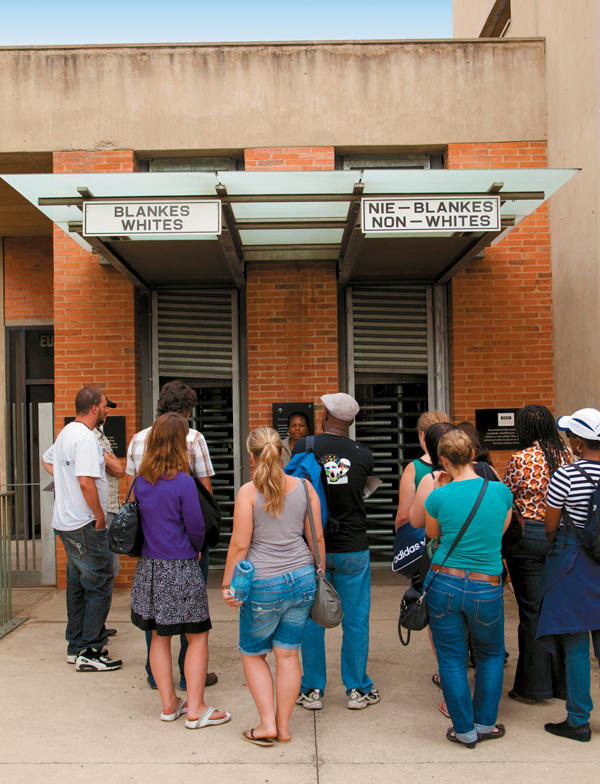 Joburg’s Apartheid Museum, assembled by a multi-disciplinary team of architects, curators, film-makers, historians and designers, takes the visitor on a powerful emotional journey into South Africa’s past. It brings to life the story of a state-sanctioned system based solely on racial discrimination. The museum features large photographs, metal cages and monitors replaying scenes from South Africa prior to 1994. 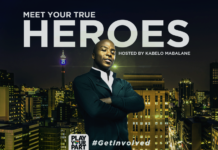 It is situated next to the Gold Reef City casino and theme park, five kilometres south of Joburg’s city centre. 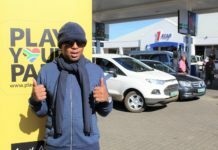 It has become one of Johannesburg’s leading tourist attractions, an almost obligatory stop for visitors and residents alike. After a few hours at the Apartheid Museum you will feel that you were in South Africa’s townships in the 1970s and ’80s, dodging police bullets or teargas canisters, marching and toyi-toyiing with thousands of schoolchildren, or carrying the body of a comrade into a nearby house. “It is not only important to tell the apartheid story, but it is also important to show the world how we have overcome apartheid. There certainly is a lesson for other countries, and this [is] related through the complexity and sheer power of the installations,” explains the museum’s director, Christopher Till.